Italy is a country of breathtaking beauty, both the land and the people. It is this beauty that is the inspiration for Bonterra, a lively and spirited Italian Trattoria. 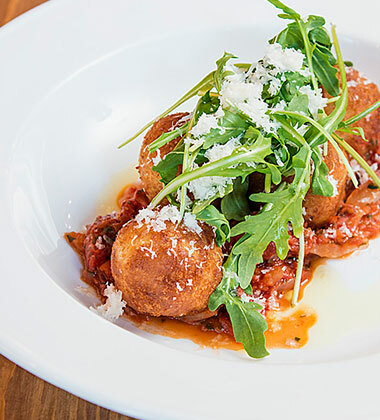 Chef Benjamin Mills prepares contemporary Italian fare with the emphasis on simple, fresh ingredients with an exciting twist. Experience the passions of Italy in our casual dining room, on our breathtaking Tuscan terrace, or in the Wine Room for a more private event. Our vibrant cuisine perfectly reflects the passions, style, and gusto that is the hallmark of the Italian way of life.